Dietary protein is one of the most essential nutrients that are required for proper growth, development and repair of the body. For healthy muscles, glowing and youthful skin and shiny hairs and nails one should have adequate amount of protein in daily diet on regular basis. High protein diet also considers as the most effective weight loss strategy in recent years. The basic constructive tasks of our bodies, including building bones, repairing tissues and moving joints and muscles, accomplished through protein. It builds new muscles, repair damaged tissues and cells. It’s a structural component for cells and tissues. Tissues and cells would unable to function properly if protein lacks. Protein provides energy in the form of calories. It is used as fuel in body by living cells when carbs or fats are not available. It prevents fatigue by providing energy throughout the body. Though it’s not the main source of energy but plays a major part in providing amino acids for the compounds in the body. Protein aids the body fight off ailments and diseases by making the immune system function properly. Some proteins produce hormone to support functions of immune system. It protects body against infections. Protein supports living cells, provides them strength and firmness via holding them together in their place. Cells would not be at their place and organs would collapse without the presence of fibrous protein called collagen. Keratin is the other type of protein that helps in forming our nails, skin and hairs. It’s an imperative factor while healing any wounds such as a cut. Protein helps in both reproduction of blood vessel system and healthy skin. 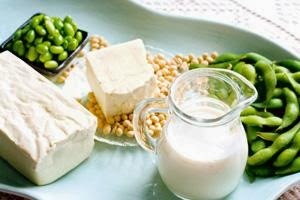 Contrary to the common belief, meat is not the only high protein food. People try to add much meat (beef and lamb) in their diet to meet the requisites. Meat is also rich in saturated fat that can be very harmful for the body if consuming in large amount. There are more healthy choices for protein including poultry, eggs, chicken, fish, caviar, lobster and turkey. You should seek for lean meat to meet your protein needs. For vegetarians there is a wide array of edibles that is high in protein. Meat and eggs are not essential to get it in right amount. A whole lot of veggies, fruits and dairy products are highly rich in protein. Green leafy vegetables including broccoli & spinach, legumes, beans, soy, seeds including sesame seeds, Flax seeds, sunflower seeds, and nuts including almonds, peanuts, and cashews are the best sources of proteins. They are also loaded with fiber that is good for controlling both the cholesterol and weight. Stephanie Ingram is a blogger, writer and an enthusiast to spend her efforts and time in learning, applying and writing fitness articles, listening Zumba songs, health care and green living. She has been passionate about learning and sharing the ways to improve fitness and maintain optimal health in order to live an active life.